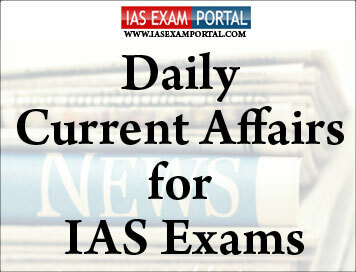 Current Affairs for IAS Exams - 09 October 2018 | IAS EXAM PORTAL - India's Largest Community for UPSC Exam Aspirants. Women & child development ministry wants easy filing of FIR’s in child abuse cases. Union Minister for Women and Child Development Maneka Gandhi has asserted that adult survivors of child sexual abuse must be allowed to file an FIR at any point in their lifetime. The Criminal Procedure Code (CrPC) lays down the time limitations for filing a complaint after an offence has taken place, also known as the statute of limitation. However, there is no time bar for crimes that would attract a jail term of more than three years. Legal experts say that the Protection of Children from Sexual Offences Act, 2012 — the law that deals with sexual crimes against children — lacks clarity on the statute of limitation. The Congress and the Election Commission sparred in the Supreme Court on Monday over the pleas by two senior Congress leaders alleging duplication of names in the voters’ lists for the upcoming Assembly polls in Madhya Pradesh and Rajasthan. A Bench comprising Justices A.K. Sikri and Ashok Bhushan reserved its verdict after concluded the hearing of the pleas during which senior lawyers Kapil Sibal and Vikas Singh traded charges over conduct of the polls. Mr. Sibal is representing Congress leaders Kamal Nath and Sachin Pilot while Mr. Singh is the counsel for the EC.The two leaders also sought random verification of Voter Verifiable Paper Audit Trail machines in the two States. Despite this, the Congress party alleged discrepancies in their petition in September and this was a clear attempt to malign the institution, he said, adding the leaders have “casually filed something” to “malign” and “denigrate” the poll panel. Observing that free and fair polls are the “essence of democracy”, Mr. Sibal strongly rebutted the submissions of the poll panel and referred to alleged discrepancies and duplication in the voters’ list, giving illustrations of four Assembly constituencies in Madhya Pradesh. Mr. Nath(congress leader) also said a direction should be issued to the poll panel to randomly verify VVPAT slips with Electronic Voting Machine votes at 10% of randomly selected polling stations in every constituency. A Bench of Chief Justice of India Ranjan Gogoi and Justices S.K. Kaul and K.M. Joseph asked the RBI to communicate within six weeks its decision to the public trust ‘Moneylife Foundation’, which has filed the representation alleging that banks and financial institutions take a tardy approach in lowering interest rates despite the central bank’s decision on the repo and reverse repo rates. “According to the petitioner(s), it has not been informed of the result of such consideration leaving the petitioners with no option but to approach this Court. We are of the view that, at this stage, the Reserve Bank of India should be directed to communicate its decision in the matter covered by the representation/ letter of the petitioner(s) dated 12.10.2017 to the petitioner(s) within a period of six weeks from today,” the Bench said. It also granted liberty to the Trust and others to approach the court again if they were not satisfied with the response of the RBI. In what could perhaps be the first such instance of a mutual fund writing off its entire exposure towards troubled IL&FS, BOI AXA Mutual Fund has decided to take a hit of a little more than Rs. 100 crore. The fund house had an exposure in IL&FS commercial paper through its Credit Risk Fund and decided to write off the entire exposure on Friday thereby taking a hit of more than 5% in the net asset value (NAV) of the scheme. The IL&FS paper accounted for about 5.4% of the scheme’s total assets under management (AUM) and was maturing on October 29. Incidentally, the scheme had already taken a 25% haircut on September 15 when IL&FS defaulted on its payment obligations towards some banks, insurance companies and other mutual fund houses. “With the government intervention, we expect to recover our investment in IL&FS Ltd in due course. However, given that the maturity of our holding in IL&FS CP is on October 29, 2018 and that the roadmap for the revival is to be announced post maturity of our holding, there is strong likelihood that we may not receive our outstanding on the due date,” stated the fund house in a note to its investors. As per Value Research, the fund house, which is a joint venture between Bank of India and AXA Investment Managers, had total assets under management (AUM) of Rs. 6,151 crore as on August 31. A recent note prepared by the government stated that mutual funds had a combined exposure of about Rs. 2,800 crore towards IL&FS paper. Minister of State for Commerce & Industry, Consumer Affairs and Food & Public Distribution, C. R. Chaudhary, is leading the Indian delegation to the Confederation of Indian Industry (CII)- EXIM Bank, Regional Conclave on India-West Africa Project Partnership being held in Abuja, Nigeria on 8th – 9th October 2018. President and Vice President of Nigeria along with Ministers and Delegation of West African countries are participating in the Conclave. Niger has appreciated India’s support to build Mahatma Gandhi International Convention Centre (MGICC)in Niamey in Niger at the cost of USD 35.5 million on grant basis. The foundation stone of the project has been laid recently. India’s exports to Niger increased by more than 50% since 2014-15. There is tremendous scope for increase and diversification of trade between thetwo countries. Minister of State for Commerce & Industry held bilateral meeting with Mr. SadouSeydou, Niger Minister of Trade and Promotion of Private Sectorat the Conclave. Bilateral relations between India and Niger have expanded significantly since 2009. India has provided lines of credit worth USD 96.54 million for projects in transport, electrification, solar energy and potable drinking water. India’s grant assistance for MGICC will further contribute towards enhancing of bilateral ties. Niger will host the African Union (AU) Summit in 2019 in this Convention Centre. The establishment of the Centre is the land mark of Niger-India friendship and also a symbol of India’s firm commitment towards Africa. Top editors and journalists had held a last-minute meeting with Ministers demanding some sections of the legislation be changed.The Law Minister had promised that he would discuss the issues, but the President went ahead and signed the act into law without waiting. “We are very disappointed,” TI Bangladesh spokesman Sheikh Manjur E Alam said.“But we firmly want to believe that it won’t be used or abused before the government has a discussion as was promised about the amendment of the law,” he said. Prime Minister Sheikh Hasina had in a press briefing last week backed the law.She told journalists that “if there is no criminal mind, there is no reason to worry”. Coastal nations and agricultural economies like India would be the worst affected. Decline in crop yields, unprecedented climate extremes and increased susceptibility could push poverty by several million by 2050, said the ‘Special Report on Global Warming of 1.5°C,’ commissioned by the Intergovernmental Panel on Climate Change (IPCC) that saw as many as 91authors and review-editors from 40 countries, convene in Incheon, South Korea. Officials from the Union Environment Ministry, the Union Ministry of Earth Sciences and the Indian Institute of Human Settlements and the Tata Institute of Social Sciences were part of the Indian delegation at Incheon. India hadn’t made any scientific contribution — in terms of modelling possible climate change-impact to its agriculture, monsoon, urban dwellings — to this report but gave critical inputs to the scientific basis underlying these assessments. “We discussed, for instance, how much land would need to be diverted from agriculture to forestry (for creating carbon stocks) for capturing carbon, or growing biofuel,” the person told. “Limiting global warming to 1.5°C, compared with 2°C, would reduce challenging impacts on ecosystems, human health and well-being, making it easier to achieve the United Nations Sustainable Development Goals,” Priyardarshi Shukla, Co-Chair of IPCC Working Group III, said in a statement. Thangjam Tababi Devi became India’s first judo medallist at the Olympic level, claiming a silver at the Youth Games after losing to Venezuela’s Maria Giminez in the final of the women’s 44kg category here. Tababi Devi, an Asian cadet champion hailing from Manipur, lost 11-0 in the summit showdown that lasted a little over two minutes on Sunday. Her silver was India’s second medal at the ongoing Games after shooter Tushar Mane also clinched the second position in the men’s 10m air rifle competition.